Stencil — choose any that you like! Get inspired to customize additional summertime items by exploring more Summer spray paint projects from Krylon®. Use a cleaning brush to make sure your basket is free of debris. Spray the whole basket with two coats of Honeydew. Once dry, tape off the lid to protect the rest of the basket from overspray. Spray the stencil with stencil adhesive and place it on the top of the basket. Paint the top with a coat of Oxford Blue for a great pop of color! For some extra design, tape off a section of the handles and paint Oxford Blue as well. Isolate one weave with painter’s tape and paint with Oxford Blue for an accent weave. 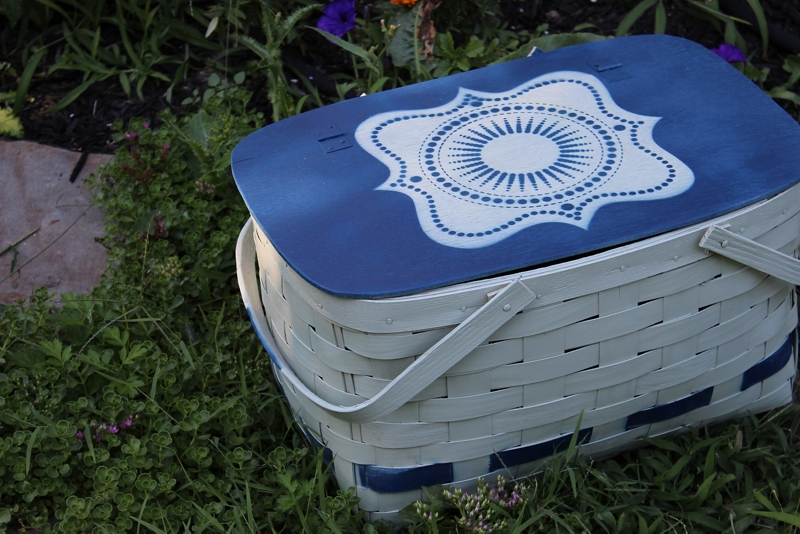 Paint the bottom of the basket with Oxford Blue.